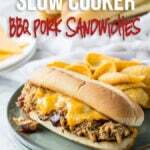 Easy and versatile, this Slow Cooker Spicy Pork Loin is easy to prepare and can be served in many different ways. 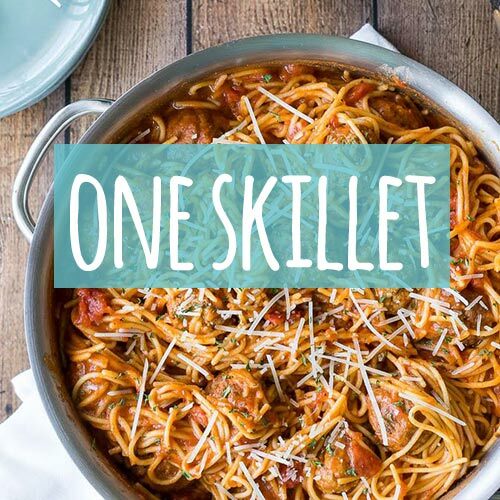 You’ll love the spicy kick in every bite, and leftovers are equally delicious! Well, that’s probably because the Instant Pot came into our life!! This no-stir Instant Pot risotto, for example, is a life-changer! But let’s focus on the slow cooker for a minute, it’s the star of the kitchen tools today. 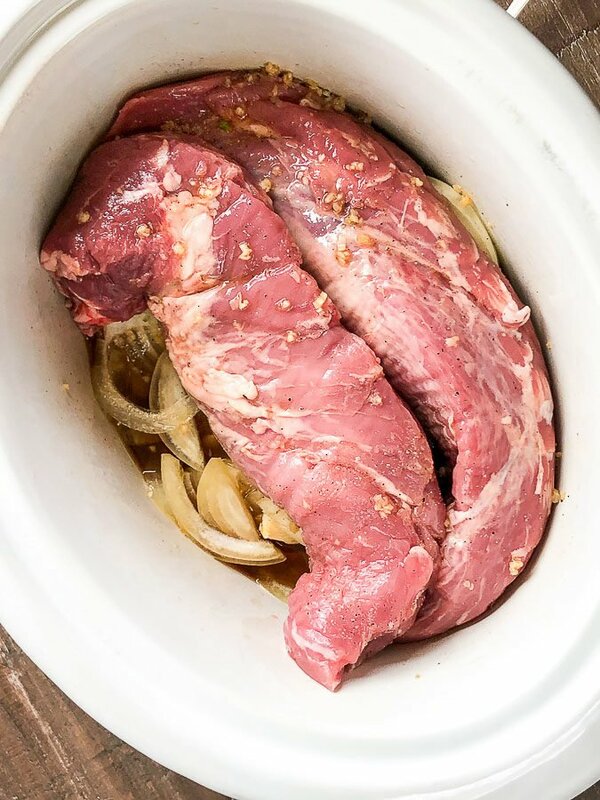 We’re going to make the most delicious and versatile slow cooker pork tenderloin with a nice kick of spice! I hope you like to sweat a little. Just kidding, it’s really not that spicy, just has a nice kick! The ingredient list isn’t long, but everything brings a little something to the dish. Let’s get through them individually, so you know why we’re using them, and if you can swap any of them. Sweet onion – It’s much milder and sweeter than regular yellow onion, adding a touch of onion sweetness to the sauce. You can substitute yellow onion if you want to. Brown sugar – It brings beautiful balance in our spicy gravy. I prefer brown sugar over granulated sugar in this dish. 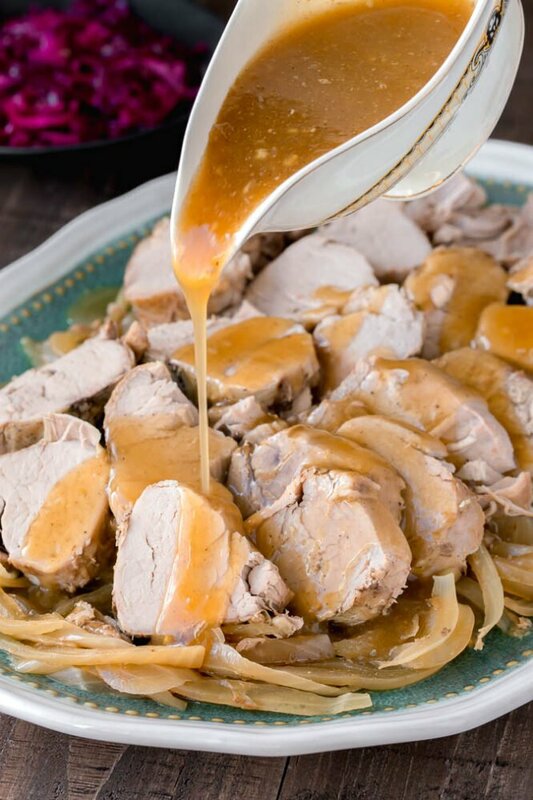 Red wine vinegar – This is another important ingredient for well-rounded flavor in our slow cooker pork loin. Though any kind of vinegar would work, I like the flavor of red wine vinegar the most. The best substitute is apple cider vinegar. Soy sauce – I always use regular soy sauce vs low sodium soy sauce. Did you know that low sodium soy sauce may have less salt, but it has more chemicals? It’s true, that’s why it’s better just dilute the regular soy sauce with water to bring the salt down. Hot sauce – This is, of course, the crucial ingredient in this recipe, and I highly recommend using YOUR favorite hot sauce. I personally like Frank’s RedHot. Cornstarch – It’s a thickener for the gravy. Unless you like runny sauce, I wouldn’t recommend omitting it. Through multiple recipe testing, as you can imagine, I’ve got ton of leftovers, and I had fun repurposing it into different meals, like pulled pork sandwich, pulled pork baked potatoes, and spicy pulled pork egg rolls (not pictured, but I shared the process in my Instagram featured stories). Told ya, it’s pretty versatile!! You’d totally appreciate the leftovers. 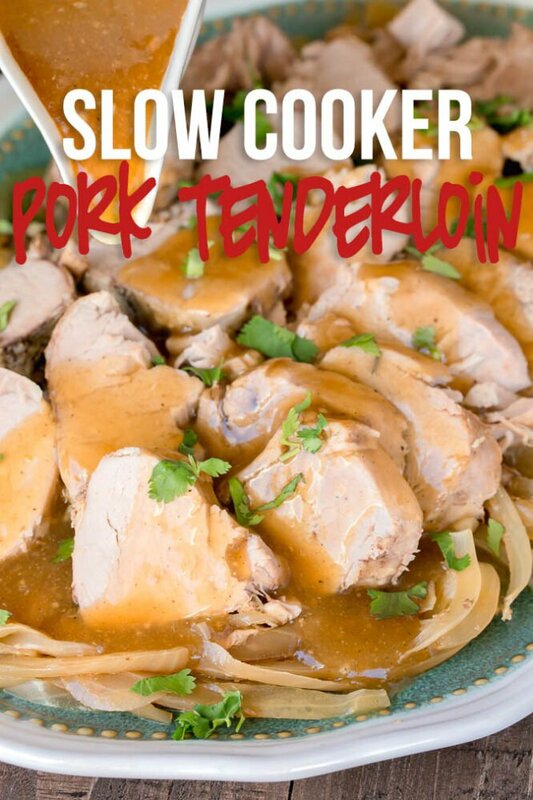 Easy and versatile, this slow cooker spicy pork tenderloin is easy to prepare and can be served in many different ways. You’ll love the spicy kick in every bite, and leftovers are actually much appreciated! Place onions in the bottom of slow cooker. Place pork tenderloin over the onions. In a small bowl, combine water, sugar, vinegar, soy sauce, hot sauce, garlic, salt and pepper. Mix well and pour over the pork. Cover and cook on low for 7 hours, or on high 3-4 hours, or until inserted thermometer reads 160°F. Transfer the pork and onions onto a platter. Tent with foil and let it rest for 10 minutes, while you finish the sauce. Carefully pour the liquid from the slow cooker into a saucepan. Bring it to boil. In a small dish, combine cornstarch with 1 tablespoon of water. Add it to the sauce. Cook the sauce until nice and thick, about 5 minutes. Serve the pork, sliced, with spicy sauce over mashed potatoes, or steamed rice. 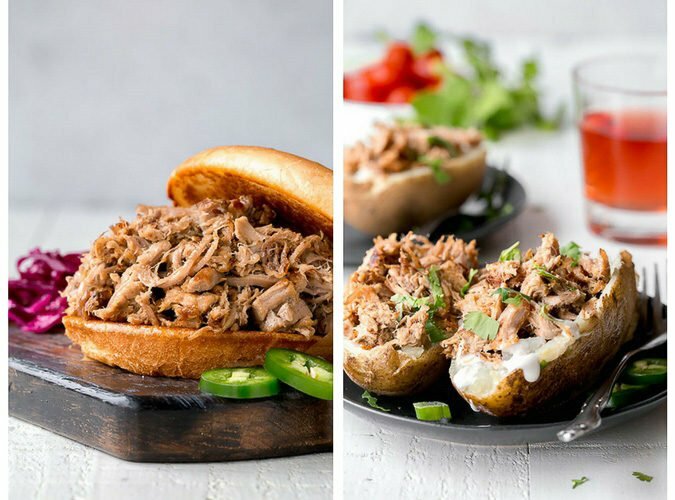 Leftovers are great for sandwiches, egg rolls, and with baked potatoes as well. Born and raised in Mongolia, Shinee (Shin-eh) now lives in rural North Dakota with her rancher husband and a very active toddler son. 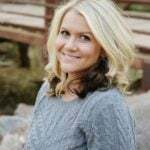 She believes delicious homemade meals don't have to take hours to cook. Her mission is to inspire busy cooks with simple, quick and tested recipes and avoid a dinner rut at all costs. A little confused about the cut of pork – loin and tenderloin are different. You mention both. I have a 3 pound pork loin – same cooking time as the little tenderloins? A pork loin should work for this recipe, although allow for plenty of cooking time in case you need a little longer to get it tender. Hope this helps! The onions give it something to sit on rather than just sitting straight on the bottom of the crock pot. Looks delicious, can’t wait to make this! Just wondered if you are using 2 pieces of pork tenderloin in this recipe? When I buy pork tenderloin, it comes with 2 pieces in the pkg. & I would like to use both pieces in this recipe. Do I need to double the sauce ingredients for 2 pieces? Thank you! Hi, Janet. Yep, mine came with 2 pieces as well. 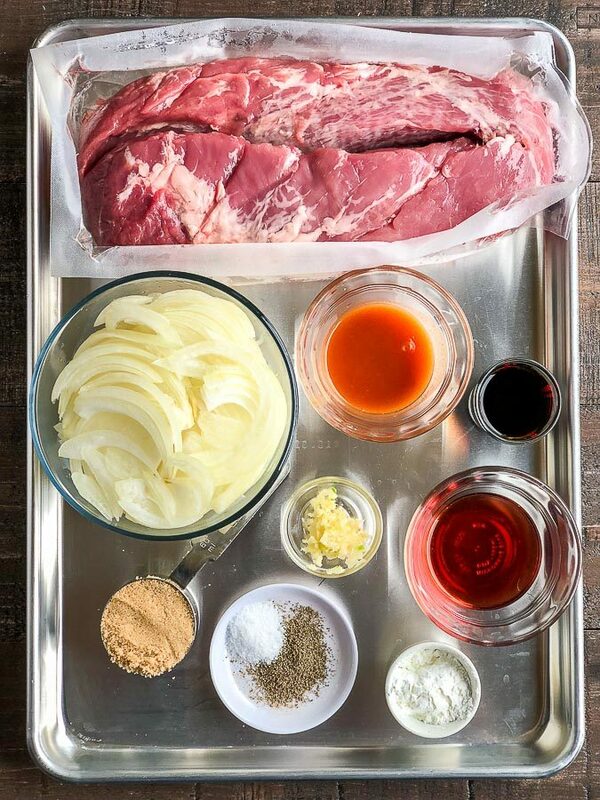 As long as you’ve got around 3lbs of tenderloin, you don’t need to double the sauce. Hope you’ll enjoy it. 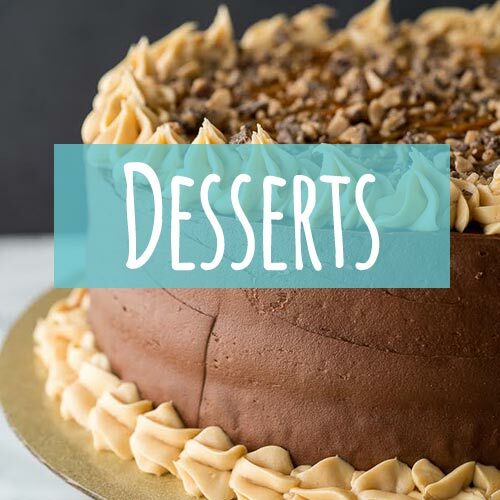 And let us know if you try this recipe. 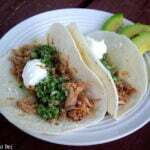 Just wanted to chime in – this recipe WAS AWESOME and super easy! We’re making it again this coming week. Thank you for sharing, super yummy!